While billing is an inevitable expense for many companies, credit and collections is an intolerable expense. Once a debt moves into the collection cycle, it starts incurring significant additional expenses for the biller. These include printing & postage; costs associated with longer Days Sales Outstanding (DSO); outsourced credit & collection specialist’s fees; payment negotiation discounts, and significant additional call centre resources. As a result, the biller only receives a small percentage of the original payment amount. To mitigate their losses and reduce costs associated with past due payments, billers constantly strive to shorten the collection cycle. It is neither cost effective, nor particularly efficient for billers to send reminders for unpaid accounts via the postal system. Not only does this double the printing and postage costs, the delivery cycle is simply too long – by the time the customer gets the reminder, it may be out of date. The bill may have already paid and if the bill is now overdue, the reminder may not include the additional late charges. Billers can eliminate this problem almost entirely by replacing costly paper reminders and their lengthy delivery cycles with cost and time effective electronic payment notices, delivered securely via email. With eBilling, sending secure payment reminder notices via email, becomes a viable option that dramatically reduces the time and expense involved in collecting delinquent payments. eBilling is the most efficient way to reach delinquent customers. The vast majority of consumers now have remote access to email via public computers and mobile devices such as Blackberry’s and Windows Mobile phones, allowing them to view documents, including collection notices, even when they don’t have access to their postal mail. Striata’s Electronic Billing Presentment and Payment solution is uniquely able to generate a payment from within the delivered collection notice itself. When the electronic document reaches the delinquent customer, they can pay immediately with just a single click and without the need to visit a single web page. Shortens the payment cycle significantly for past due payments. The significant advantage of the Striata solution is that presentment of the bill and reminder notice is delivered directly to the customer’s inbox. 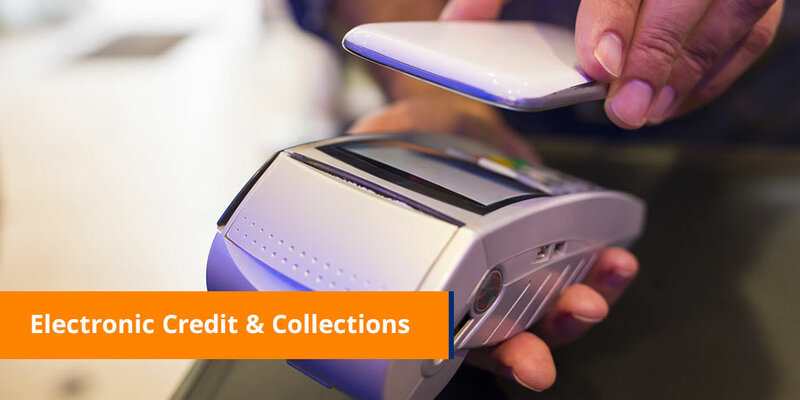 Striata strengthens this functionality by incorporating a unique payment facility from within the collection notice itself that enables immediate electronic payment with just one click. This provides an additional payment channel that works in tandem with the biller’s existing electronic payment capabilities. Striata partners with the leading payment processors in North America to facilitate the actual payment processing. The capability to generate this electronic payment can be configured to work with any existing payment processing system. A leading North American utility reduced the DSO cycle from an average of 45 days across their customer base to 9.3 days for customers paying through Striata’s EBPP solution. A top-5 North American cable company reduced their DSO cycle to 6.5 days for customers receiving Striata eBills. An independent telecom company based in South Georgia, evaluated eBilling options for two years before selecting Striata’s eBilling solution. Web based bill payment was not a good option for their customer base, located mainly in rural areas without broadband internet access. Without electronic payment options, these customers would often have to drive 50 miles or more to pay an overdue bill at the last minute. The Telco experienced a large amount of service suspensions due to overdue bills which burdened the company with unnecessary costs and resulted in unhappy customers. Unlike online bill payment portals which take months to plan and significant resources to build and maintain, Striata’s eBilling solution was implemented within 20 weeks of approval and achieved full project ROI within 6 months of going live. Within this first 6 months, a phenomenal 15% of the Telco’s customers opted to replace paper with eBills, saving the company approximately $2 per bill. Now more than 20% customers pay in full within 72 hours of receiving their eBills, resulting in a dramatic improvement to Days Sales Outstanding (DSO).